We are all Co-Creators of our individual and collective realities , even if we are completely unaware of the process. The major shift in the evolution of consciousness on this planet right “Now” is to become aware of that process. Most humans are completely identified with their persona, their life story, their personal narrative in physical reality. For some it is a self created prison. For the human race it has created, wars, famine and chaos. There is nothing inherently wrong with being fully engaged in the story, the drama, after all that is the point of it all, to live life fully. 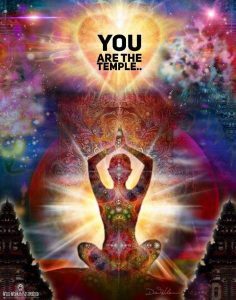 However most of us and certainly mother earth, would be much better served if we were also aware that we are, infinite, multi dimensional beings, and that physical reality is just one aspect of a much greater reality. From this more expanded perspective we can become living templates that will help to create a new paradigm , a new consensus reality here on earth. A reality based on love instead of fear. Inclusion instead of exclusion. Unification instead of polarization. Integration instead of segregation… Knowing instead of Believing !!! This new consensus reality already exists now. To be part of it all you have to do is shift your vibration, change the channel, remove the old definitions, and replace with new definitions that serve you in a positive way. And always follow your excitement , your joy , your passion, as these are your true north, your true path, higher self’s way of guiding you along your journey. And most importantly you have to hold that vibration of joy, love, excitement, passion , REGARDLESS of what is happening outwardly. Hold on to it with the absolute knowing that nothing else matters except your state of being… NOTHING ! And little by little , step by step , shift by shift, you will gradually find yourself BECOMING the reality you prefer.